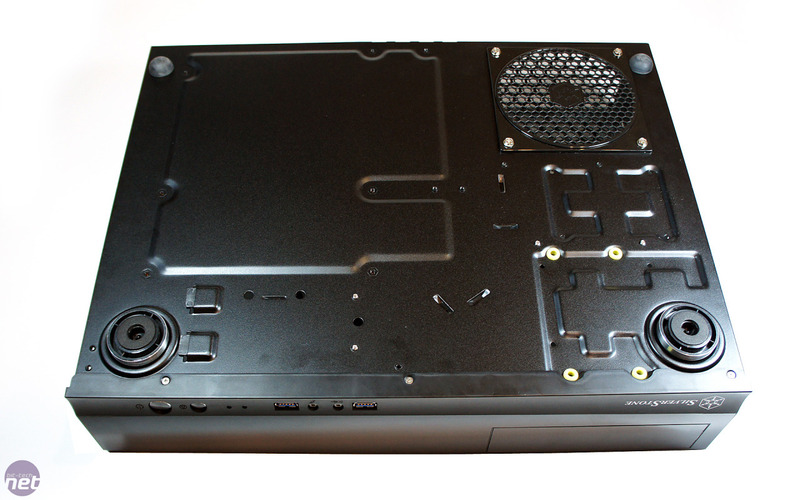 Silverstone's ML03 home theatre PC chassis looks very tempting for two reasons. Firstly, its minimalist styling is seductively attractive. Secondly, and perhaps more importantly, it's also pretty damn cheap. Silverstone has achieved the low cost by constructing the case from steel and plastic; there's no aluminium here. However, it's worth remembering that this case is only ever going to sit under the TV, largely untouched. 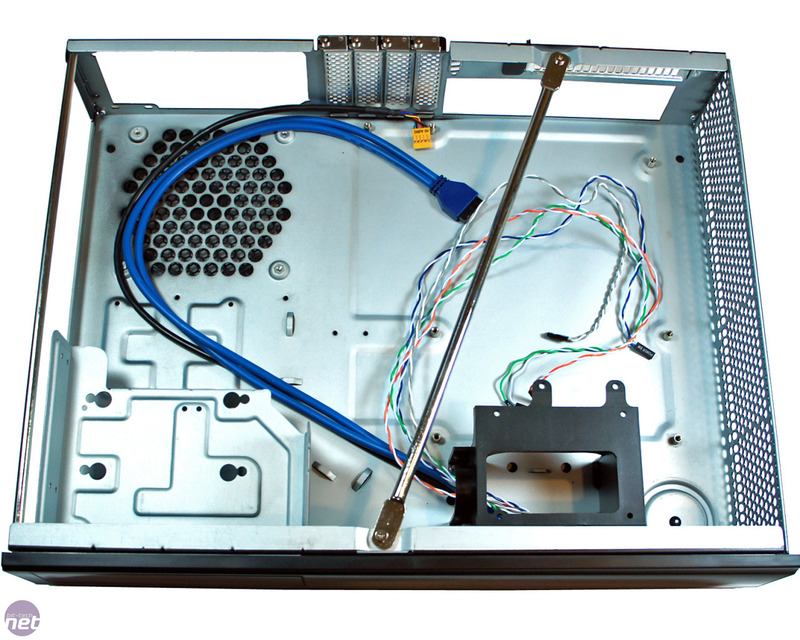 You're unlikely need to lug it to LAN events, or regularly open it up to tinker with its innards, so these materials are fine. 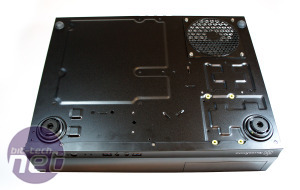 The interior will accommodate micro-ATX and mini-ITX motherboards, which is a happy medium between size and power, as there are now plenty of choices of both motherboard-types for home theatre PCs. 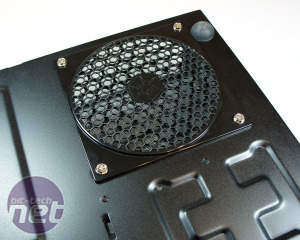 AMD E350-based mini-ITX motherboards, AMD 880G-based micro-ATX boards and both Intel H55 and H67-based micro-ATX/mini-ITX motherboards are already very capable, yet not overly expensive, choices for HTPCs. 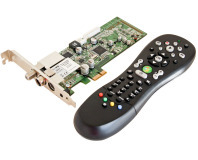 The only downside of the ML03's design is that it can only use half-height expansion cards, so additional upgrades such as sound cards, TV tuners and graphics cards are limited, though not impossible. 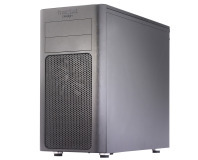 For example, you could add a Powercolor HD 5750, or the slightly better Palit GeForce GTS 450 Low Profile and get an HD-Ready (well, 720p) gaming machine, albeit a somewhat noisy one. 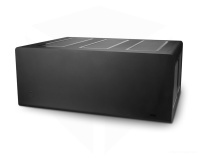 The ML03 can also house a full-size ATX PSU, and includes its own own fan filter underneath, although the maximum supported length is strictly 140mm, and modular units are highly advised given the space constraints. 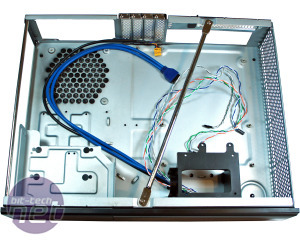 Similarly, the EPS 12V power plug needs to be at least 400mm long, the ATX cable 250-300mm (depending on your routing), and the SATA cables have to be anywhere between 50mm and 250mm, depending on where you install the hardware. It goes without saying then that you really need to plan before you buy, but again these aren't impossible demands, as the PSU market offers plenty of choice. 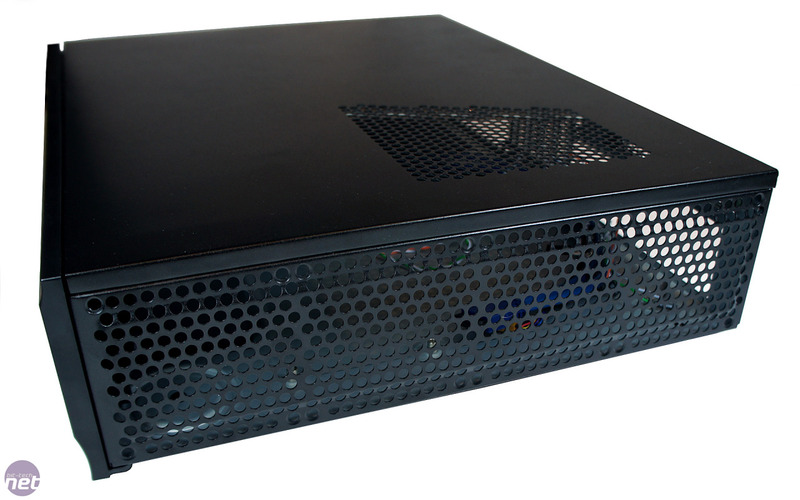 Addendum 31st December 2010: Silverstone contacted us to say that they recommend non-modular PSUs, because of varying plug sizes. While we understand the logic behind this, it's upset by the fact there is very little spare space to put all the unused cables.